Get your Lacroix ready, Ab Fab fans: Edina Monsoon and Patsy are coming back, and this time they’ll be on the big screen. 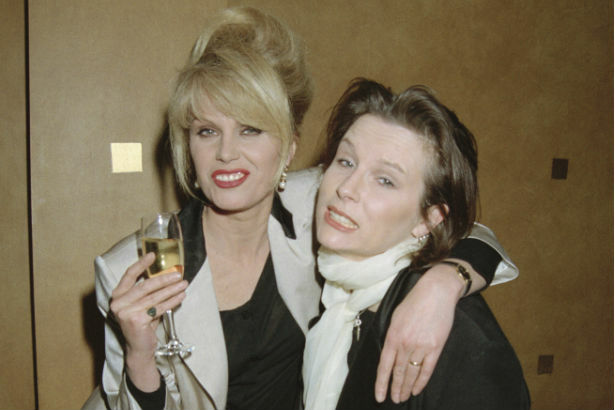 Jennifer Saunders has revealed that she’s finished writing the first draft of a new AbFab film, titled Edina and Patsy, which she hopes to start filming by the end of this year. Julia Sawalha, who plays Monsoon’s daughter Saffron and June Whitfield, who plays her mother will also likely be in the film, as the Mirror notes that their characters have been included in the script. Saunders says she is “euphoric” over the fact that she’s completed a first draft of the script, and she is keen on getting everything up and running before the close of 2015. “My proper New Year’s resolution is to do the film, otherwise it’ll be a pointless year of procrastination,” she told Sunday People. In the meantime, we’ll be chilling bottles of Veuve in anticipation. Veuve and Veuve! Marilyn Monroe Named Global Glamour Ambassador for Max FactorSay What! Wearing Hoodies Might Become Illegal…?